Spread the love for Calii Love with the office during business breakfast or lunches, office events, private functions, or happy hour with our healthy catering. We focus on fresh, healthy, organic ingredients that allows the local produce to shine and really impress your guests, staff, and clients. Our talented catering team is more than happy to accommodate all dietary needs and our packaging is environmentally friendly. Whatever your healthy catering needs, we’ve got you covered. From business luncheons or mixers, to company-wide socials, Calii Love has what it takes to bring your corporate or private event catering to the next level. Call us at 416.792.5683 or fill out the form below for a custom quote based on your needs! 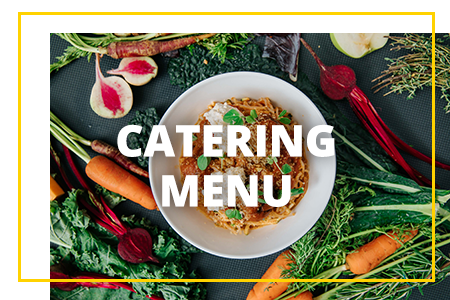 Calii Love has become the leading supplier of catering for every kind of corporate event in Toronto thanks to our dedication to freshness and eco-friendly solutions. Corporate catering in Toronto needs to offer exceptional presentation and excitement without sacrificing on flavour or corporate social responsibility. With big companies being scrutinised more and more for how they are doing their bit to help the environment, many brands are looking to make changes in their corporate catering practices. Calii Love specialises in providing corporate catering in Toronto built on sustainability, nutrition, and biocompatible materials. Our chefs create bespoke menus for every client to make their event one their clients won’t forget. We offer a range of signature dishes such as poke, superfood bowls, smoothies, flatbreads, and wraps. Whatever your corporate event in Toronto needs, Calii Love can make it fresh and exciting without costing the Earth. Breakfast is the most important meal of the day, and Calii Love can fuel up your team with our delicious range of breakfast catering in Toronto options. Many meetings, whether with important clients or internal, happen in the morning. Upgrade your standard coffee and stale pastries to an organic and nutritious breakfast from Calii Love! Our Toronto breakfast catering packages can be customised to your group size and include a sampling of all our biggest hits. Hit the spot with one of our healthy but hearty wraps, go light and airy with a perfect parfait, or treat yourself to a vegan and gluten free Love Bite. We’ve got your beverage needs covered too with a range of delightful drinks guaranteed to start your day right. We offer freshly brewed coffee, herbal teas, bone broth and an immune boosting vegan broth, all served in eco-friendly cups and thermoses. If you’re looking for breakfast catering in Toronto that will kickstart your day, look no further than Calii Love. Calii Love can bring healthy, organic food to your next lunch event so you don’t have to worry about it. Lunch catering in Toronto can tend to be greasy, unhealthy, and downright boring. Fries and burgers can not only be bad for your waistline, but also hamper your productivity by putting everyone to sleep. Calii Love is bringing our signature blend of fresh local produce to the lunchroom with our custom lunch catering packages. Each package includes a wrap or sandwich, such as our Ocean Wise teriyaki salmon, superfood-packed buddha wrap, or our vegan Pulled “Pork”. Keep the good times rolling with a side salad from our extensive selection with something for everyone. Get your dose of healthy grains with our Legendary salad, find your peace in our Zen salad, or let our Classy salad keep things, well, classy. Feel free to customise your experience with a range of organic, healthy proteins and toppings for a flavour explosion you won’t soon forget. Finish off your lunch catering in Toronto with a blissful bite into one of our naughty but nice treats. Our Love Bites and cookies are 100% vegan and gluten free, containing no refined sugar or other nasty stuff. Finally, a treat you can feel good about! Private event catering in Toronto has never been easier or healthier than with Calii Love. With vegetarianism and veganism on the rise, many event planners are looking to cater to a wider range of dietary lifestyles. Calii Love is Toronto’s preferred supplier of vegetarian, vegan, and gluten free private event catering with a fresh and exciting range of appetisers and treats to get the party going. Looking to whet the appetite for the night to come? Try our range of tasty passed appetisers guaranteed to wow your guests. Avocado toast crostinis and tuna nachos pair beautifully with falafel sliders and acai shooters. All of our dishes are crafted professionally onsite with the utmost attention to detail and food safety, ensuring your private event catering in Toronto leaves your guests hungry for more. For a more substantial Toronto private event catering option, Calii Love offers an extensive range of serving station delights. Keep things fresh and healthy with a salad or poke bar, offered with a range of toppings to satisfy every taste. Our pasta bar is completely vegan, made with our signature blend of spiralised zucchini, sweet potato, and kelp noodles. Indulge your sweet tooth with our parfait and sweets bar, offering up a cornucopia of freshly baked treats and compotes that are still healthy and nutritious. Bring a healthy and eco-friendly twist to your next corporate or private event with Calii Love. Our commitment to organic, local produce adds an instant hit of excitement and flavour to any event. Contact us today and let’s make some magic together.